Inna lillaahi wa innaa ilayhi raaji’oon. To God we belong and to Him we will return. Last night, the world lost a pioneer, visionary and a leader of the American Muslim community. 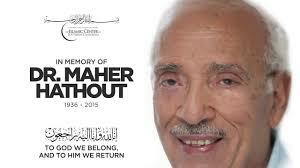 Dr. Maher Hathout (1936-2015) was a leader for Islam and for humanity, a voice for the voiceless, a patriot, a poet, a physician, a friend and a family man. He made an indelible impression on everyone he met. Born in Egypt in 1936, Dr. Maher Hathout has been an activist and a thinker dedicated to the cause of freedom and Islam since his childhood. Widely regarded as the Father of the American Muslim identity, he stressed for more than four decades that being a faithful Muslim was entirely compatible with being a proud American. Dr. Hathout believed that American Muslims would contribute to America by practicing the Islamic values of mercy, equity and justice. He moved many of us from darkness to light and he wanted all of us to discover the power in the Quran’s message to do the same for others. Upon moving to Los Angeles from Buffalo, New York, Dr. Hathout immersed himself in volunteering at the Islamic Center of Southern California (ICSC) as Chairman and Spokesperson. One of the most progressive mosques in the country — the ICSC had a woman on its board of directors in 1952 — the Islamic Center became a vehicle for a vision of Islam in America that is rooted in what Dr. Hathout called the definition of home: “Home is not where my grandparents are buried, but where my grandchildren will be raised.” Dr. Hathout went on to work with the founders of the Center to launch a series of pioneering projects and organizations, including the first-ever co-ed Muslim Youth Group, the Islamic Information Service that produced a nationally televised weekly program on Islam, The Minaret magazine, the New Horizon School system, and the Muslim Public Affairs Council. In 1988, he co-founded MPAC, and served as our Senior Advisor thereafter. These organizations are examples of Dr. Hathout’s tireless dedication to pioneering institution-building in the American Muslim community and to fostering a strong American Muslim identity among youth. Despite working as a full-time cardiologist, he made his thinking and working for Islam a life-time endeavor. Throughout his life, Dr. Hathout firmly spoke out to clarify Islam as a religion of coexistence, reason and moderation. With that as his mission, he authored the “Declaration Against Extremism” in 2013. In his most recent public appearance at MPAC’s 2014 convention, Dr. Hathout embodied the message of this document during a speech titled, “Extremism: Between Wrong Policy and Corrupt Ideology.” He was also among the pioneers of interfaith engagement within the American Muslim community, helping found the Religious Coalition Against War in the Middle East with Rev. George Regas and Rabbi Leonard Beerman in 1991. Dr. Hathout was a charter member of the Pacific Council on International Policy, the western partner of the Council on Foreign Relations, served on the Board of Directors of the Interfaith Alliance and Claremont Lincoln University, and as Chairman of the Islamic Shura Council of Southern California. Over the years, Dr. Hathout was invited repeatedly to Capitol Hill and the State Department to address a variety of topics, such as “Islam and U.S. Policy,” “Islamic Democracy,” “Emerging Trends in Islamic Movements,” and “The Future of the Middle East.” He was also the first Muslim invited to give the invocation prayer at the Democratic National Convention in 2000. He was the author of several books, including Jihad vs. Terrorism, In Pursuit of Justice: The Jurisprudence of Human Rights in Islam, and Islam 2.0: Conversations for Muslim Generations. 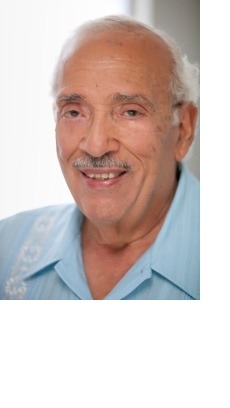 Dr. Hathout was the recipient of many awards, including the George Regas Courageous Peacemaker Award, the Islamic Shura Council of Southern California’s Lifetime Service Award, the South Coast Interfaith Council Award for his life-long commitment to interfaith work and the Los Angeles County John Allen Buggs Award for excellence in human relations. He is survived by his wife Dr. Ragaa Hathout, his children Gasser and Samer, and his grandchildren Heba, Laith, Dean and McKenna. The MPAC family asks for prayers of patience and support for the Hathout family during this difficult time. Funeral services are scheduled for this Monday, Jan. 5, 2pm at Rose Hills Cemetery in Whittier, California. More information will be available at www.mpac.org. In lieu of flowers, the family is requesting that donations be made either to the Islamic Center of Southern California or the Muslim Public Affairs Council. Founded in 1988, the Muslim Public Affairs Council improves public understanding and policies that impact American Muslims by engaging our government, media and communities. Previous baby s Wafaa Touati.